A post written by our New York-based MySwimPro Ambassador Michael McNelis. To excel in the sport of swimming at any level, you have to be a bit obsessive, slightly crazy and highly competitive against yourself. 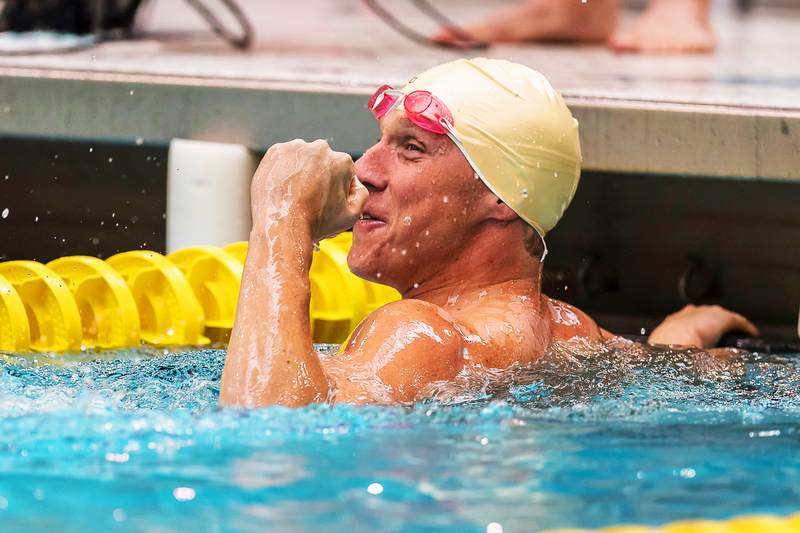 One of the biggest obstacles keeping “retired” swimmers out of the competition pool is knowing their old times and being disappointed not being able to replicate them. My name is Mike McNelis, and in 2015, I returned to racing after a hiatus of almost 20 years. One thing I vowed not to do was dust off old results and compare. So the first few meets, I set what I refer to as my OMBTs (Old Man Best Times). During my extended vacation from competitive swimming, I tried to stay in shape by lifting weights and participating in men’s league hockey. One of the best ways to stay on track in a weight lifting program was to keep a journal. Yes. I was “that guy” in a weight room, wandering around with a notebook, making entries for every set, weight amount and number of reps (I did not carry around the gallon water jug). But in keeping such a log, I was able to make constant and steady progress. 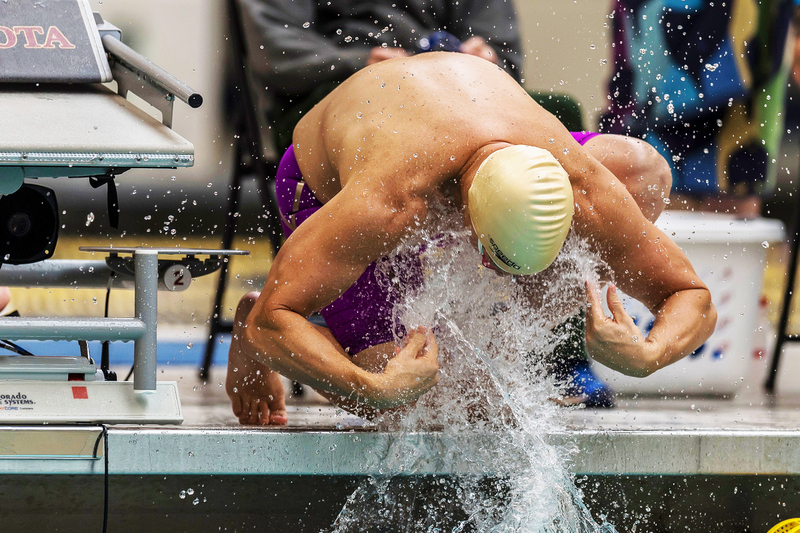 After a difficult back injury and being diagnosed with Ankylosing Spondylitis, I ended up back in the pool, at first to treat the injury and condition, but soon, I got the itch to race again. Around that same time, I discovered the MySwimPro app and started training with the workouts. I wanted to share my experience of using the app and how it’s impacted my race times. Being able to track my swim workouts has been instrumental in my continued time drops. One of my favorite features of the app is the Feed, retaining the data from all my previous workouts. This allows me to look at what intervals I used to need, and forces me to continue to challenge myself to hit quicker, more challenging intervals and hit faster repeat times during workouts. It also is good for repeating and refining. The Pan American Masters Games was an incredible meet to be a part of. It was my first international competition, and I was able to drop time in all 4 of my events (even the one I was DQ’d in…). Easy access to previous workout interval and base times made it easy to push for consistent improvement as I trained in our local outdoor long course pool and enjoy the beautiful summer weather. Contrary to popular belief, it doesn’t snow year round in Western New York. My absolute favorite training tool/drill is resistance training on the tether. If you have any flaws or inefficiencies in your stroke, the tether will find them. 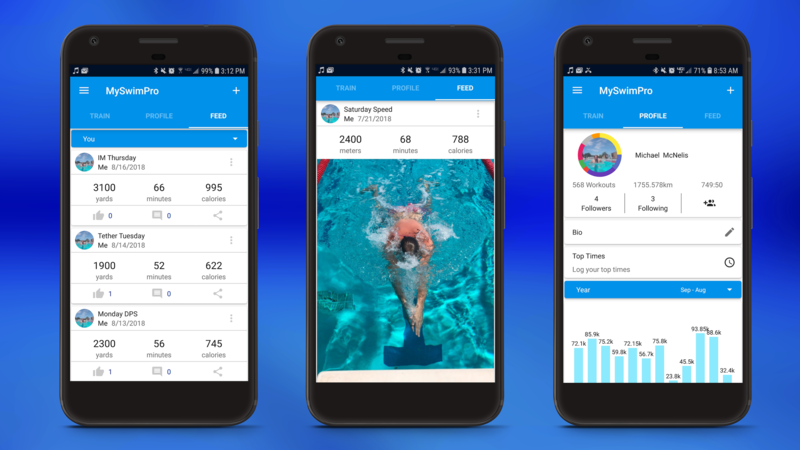 My favorite of the app BY FAR is the MySwimPro community. Joining the Community Facebook Group has also been motivating and inspiring. 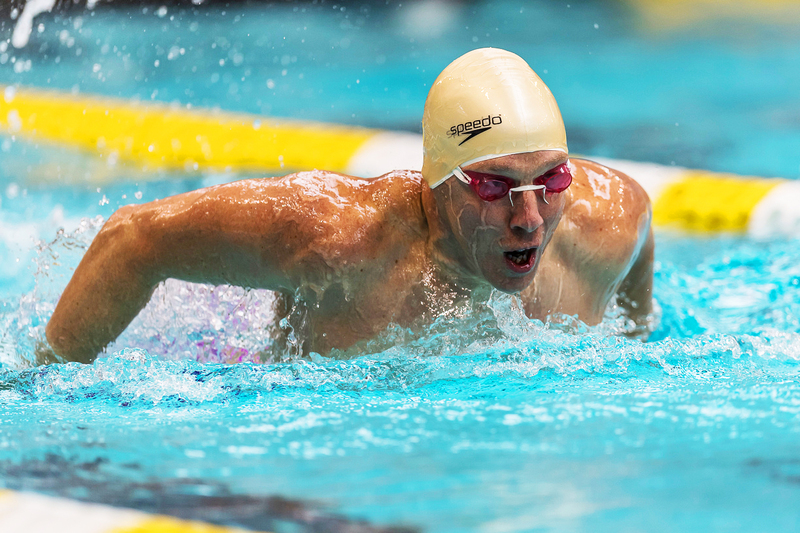 Reading about everyone else’s experiences in their workout routines, challenges, goals and meet performances keeps my alarm set to ensure I get my morning swim in every day so I can hopefully keep dropping time. I used to think my college times were out of reach. Now, I think I can do better! I am certainly excited to be a MySwimPro Ambassador, to continue to challenge my times, and I’m excited to follow everyone else’s progress! Feel free to reach out to me, I love to talking training, racing, swimming and if you get enough of that talk, I’m also happy to share good whiskey recommendations. Michael is 42 years old and lives and works in Rochester, NY as an attorney. 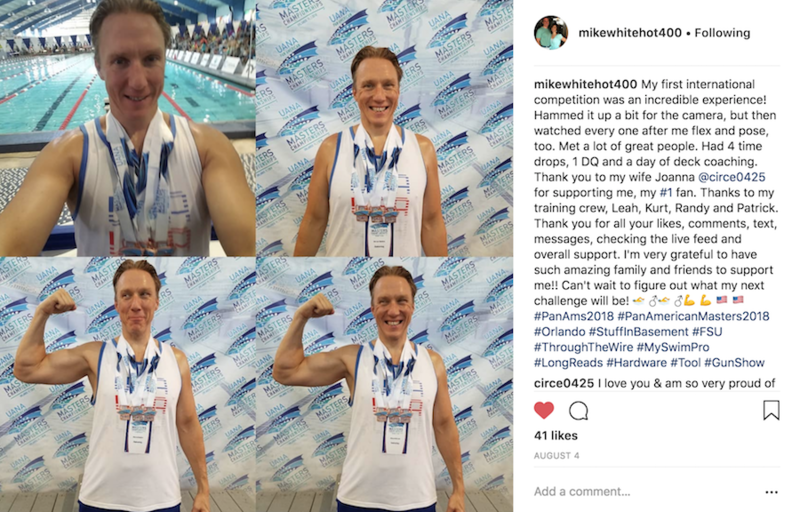 He’s a Masters swimmer and trains with the Android MySwimPro app.